The world’s first Masterchef-themed restaurant will throw open its doors in Dubai Marina this April. MasterChef, The TV Experience, can be found in the new Millennium Place Marina and is based on the hugely popular MasterChef reality TV series. 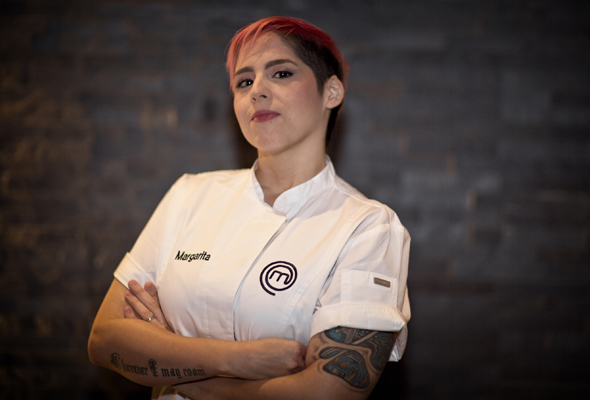 The restaurant will be headed up by acclaimed chef Maria ‘Margarita’ Vaamonde-Beggs, who will helm the kitchen once the restaurant opens later this year. Masterchef the TV experience will have seating for 180 covers including an alfresco terrace for sixty. On the menu, guests can expect recipes of contestants and champions from various global series of MasterChef. You can also expect short-term residencies at the restaurant from former contestants and champions across the world, who will share their stories, experiences and menus with guests. If you’re a fan of the TV show, you’ll likely feel pretty at home in the restaurant, which has been designed with inspirations from the show. There will also be a dedicated drinks bar inspired by the recognisable setting of the TV series. “Our entire objective has been to keep the entire experience focused on the food our culinary stars will create, while offering a casual and comfortable deformalised dining atmosphere without excess trappings,” said Duncan Fraser-Smith of The First Group, the hospitality company behind the opening. With over 60 local adaptations broadcast in more than 200 countries, MasterChef is the world’s most successful cookery television format.